International recruitment company Atlas Professionals has been named provider of permanent technical personnel for Siemens Gamesa Renewable Energy B.V. in The Netherlands, supplier of wind power solutions. October 2018: Atlas Professionals has won a two-year contract to provide a range of skilled personnel to the Dutch branch of Siemens Gamesa Renewable Energy (SGRE). 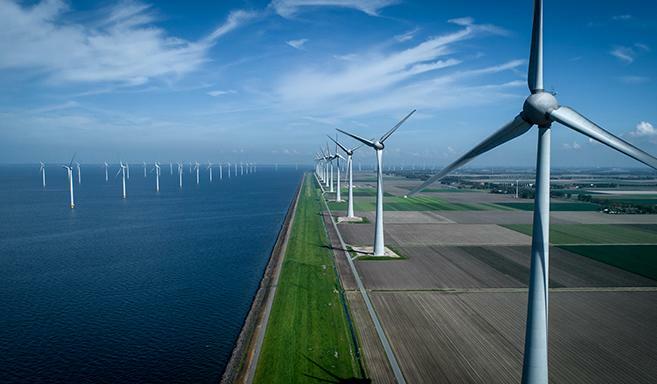 In The Netherlands, SGRE is active in installing onshore and offshore wind power plants. After the installation, the company will also service the wind power plants. The new recruitment agreement will make Atlas provider of technical personnel for SGRE's new and existing offshore wind farms in The Netherlands — including Borssele 1&2, which consists of 94 turbines and is expected to have a yearly electricity production for approximately 1 million households per year. There is rapid growth in the development of wind power in The Netherlands, with the Dutch Government expecting offshore wind plants to produce 40 percent of the country's current electricity consumption by 2030. Atlas, which has vast experience of the renewables sector, is the leading supplier of specialist recruitment and HR services to this booming industry, which employs around 4000 people in The Netherlands. The skilled personnel it will provide for SGRE’s wind power plants in The Netherlands include Site Manager, Service Planners, HSE Advisors, Wind Technicians, Stock Keepers and Stock Operatives. Atlas will run the operation from its offices in Hoofddorp and Vlissingen and will recruit for both national and local professionals.